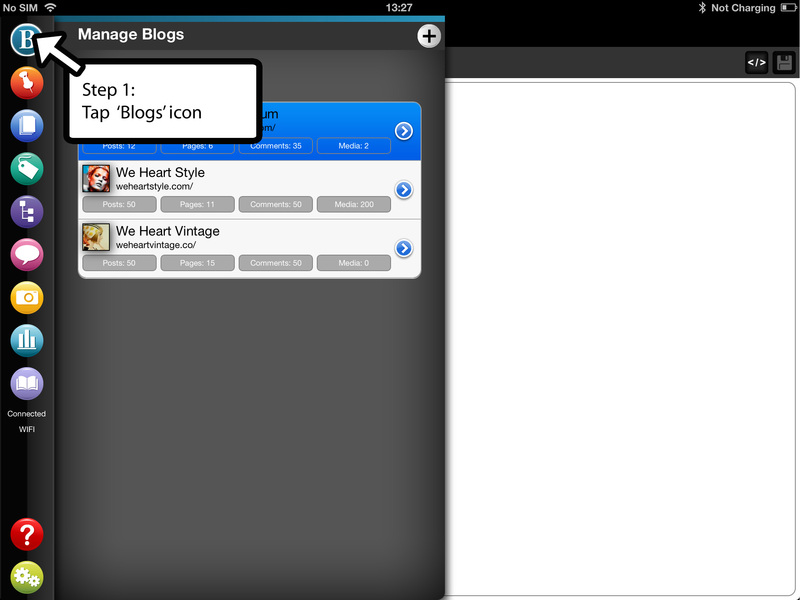 How to remove a WordPress.com or WordPress.org blog from your ‘Manage Blogs’ dashboard in BlogPad Pro for iPad. Please note that this doesn’t delete your blog, it just removes it from the app. You can always add the blog again if you change your mind. Tap on the Manage Blogs icon on the top left of your screen. 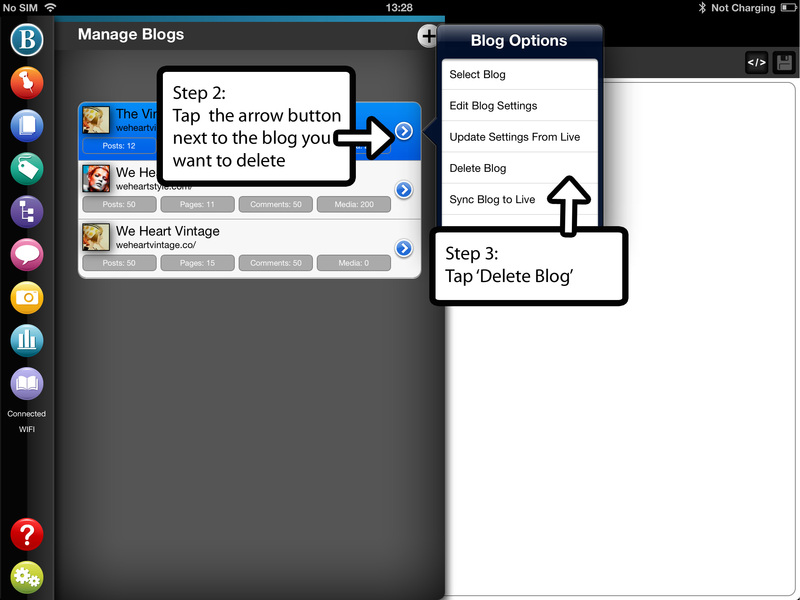 Tap the arrow alongside the blog you want to delete from BlogPad Pro. This launches the ‘Blog Options’ menu. Select ‘Delete Blog’. 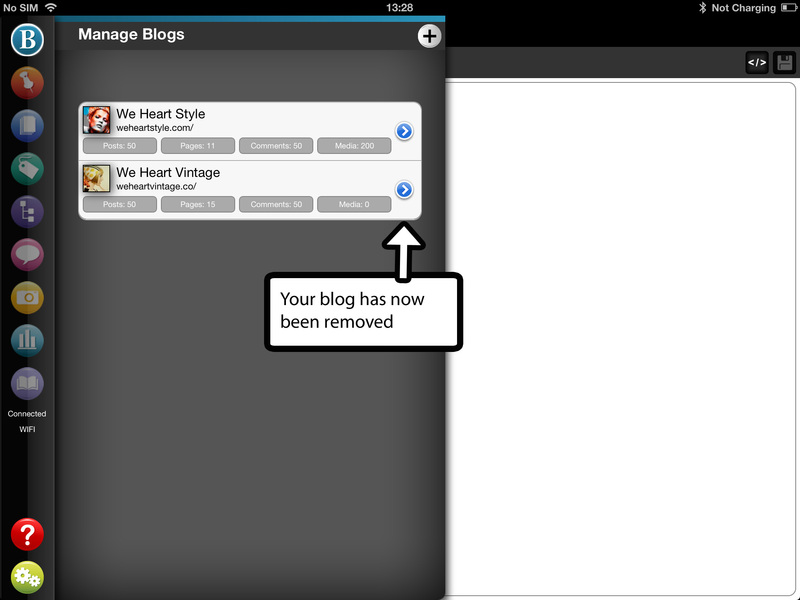 The app will warn you that you are about to remove this blog from BlogPad Pro. Tap ‘OK’. Your blog has now been removed from the ‘Manage Blogs’ list. You can remove another blog or re-add the blog you just deleted (or just carry on blogging with your other blogs!). This entry was posted in Tutorials and tagged app, articles, blog, blogging, blogs, iPad, technology, training, tutorial.